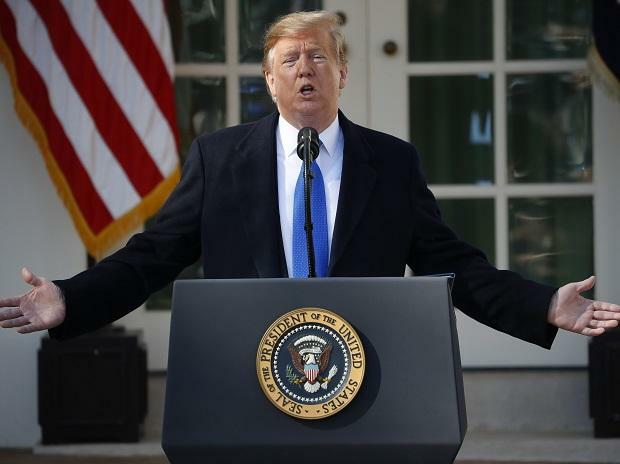 US President Donald Trump Wednesday accused social media companies of discriminating against Republicans, saying it is a "very dangerous situation" and something should be done about it. "We have to do something," Trump told reporters at a joint news conference with visiting Brazilian President Jair Bolsonaro. "It's a very, very dangerous situation. I think something has to be looked at very closely," he said in response to a question. The US president said the situation on social media was different that it used to be. "It seems to be, if they're conservative, if they're Republicans, if they're in a certain group, there's discrimination and big discrimination. I see it absolutely on Twitter and Facebook... and others," he alleged. Twitter and Facebook combined, Trump has around 100 million followers. "I get to see firsthand what's going on, and it's not good," he said. "We use the word 'collusion' very loosely all the time. I will tell you, there is collusion with respect to that, because something has to be going on," the US president said. Trump said that something was happening with the people running Facebook and Google and Twitter. "I do think we have to get to the bottom of it. It's collusive, and it's very, very fair to say that we have to do something about it," he added.